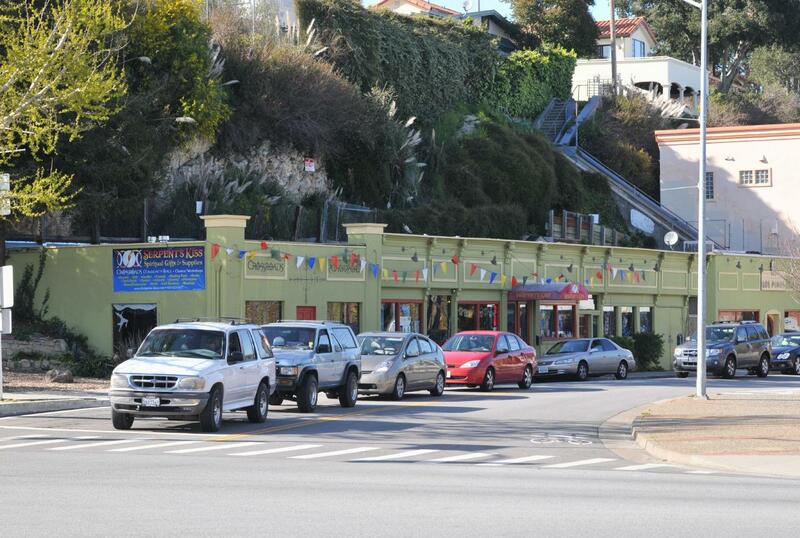 North Pacific Avenue curved below residential hills to meet the Pacific Avenue of downown. Note, just beyond the curved stores was a stairway up to houses. 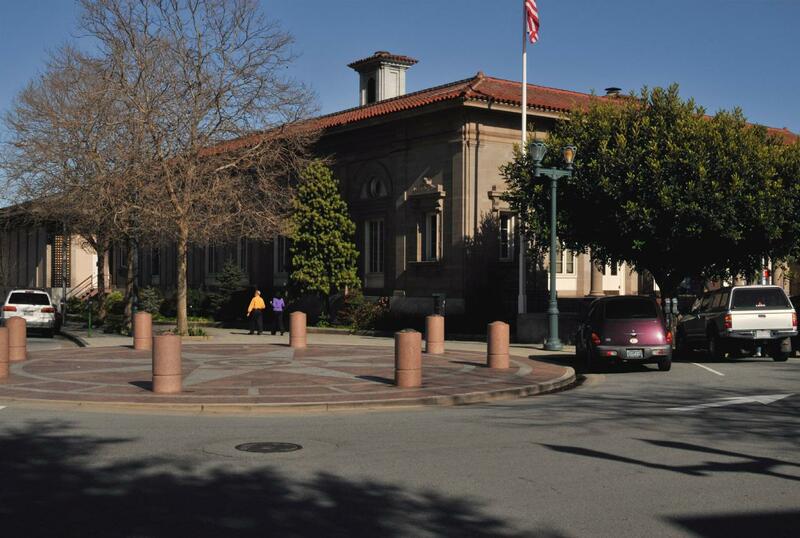 Water Street became Mission Street where it met Pacific Avenue . Where Front Street (left) splits off of Pacific (right) . 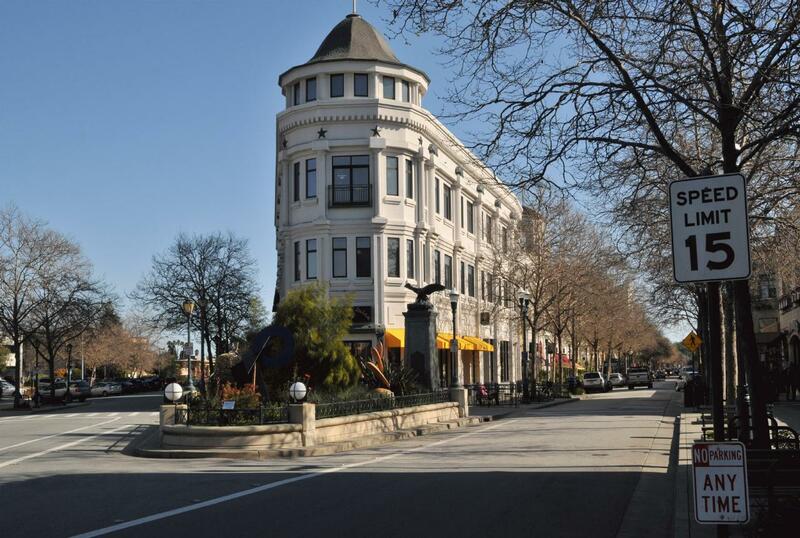 Pacific Avenue was the quiet street with shops, restaurants and hotels. 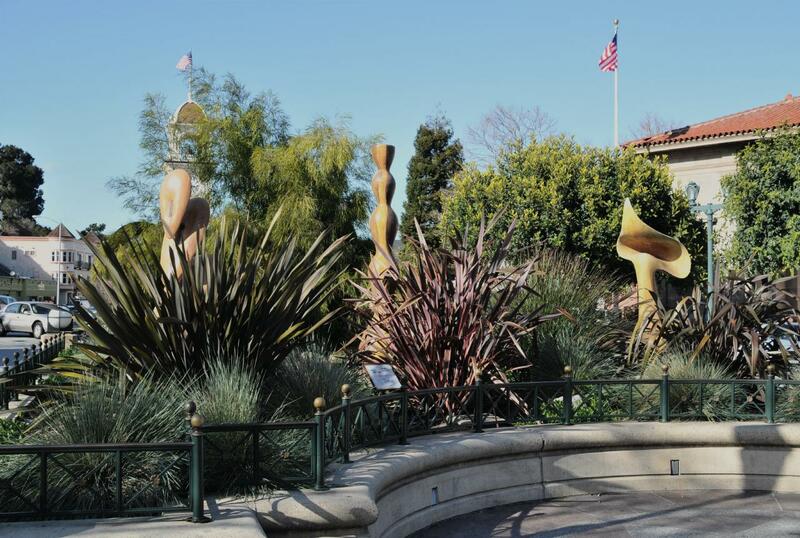 A small garden at the head of Pacific Avenue featured art. 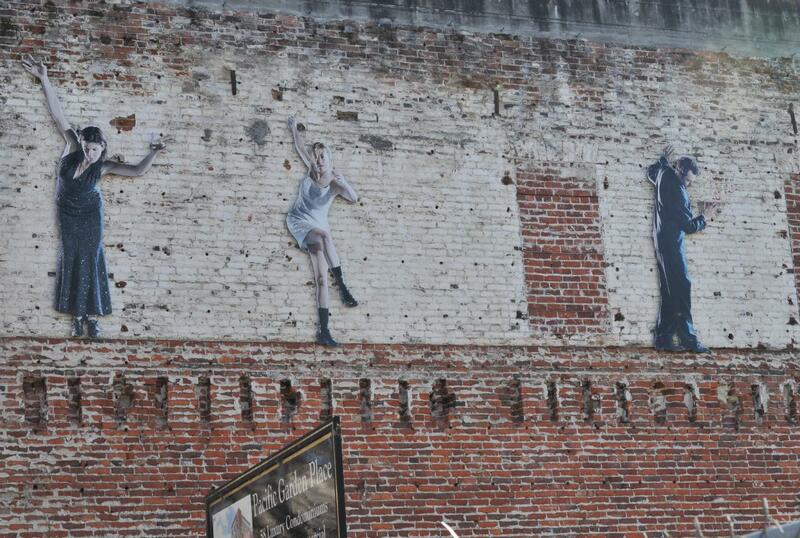 On the bare wall over a vacant lot were cutouts of dancers. 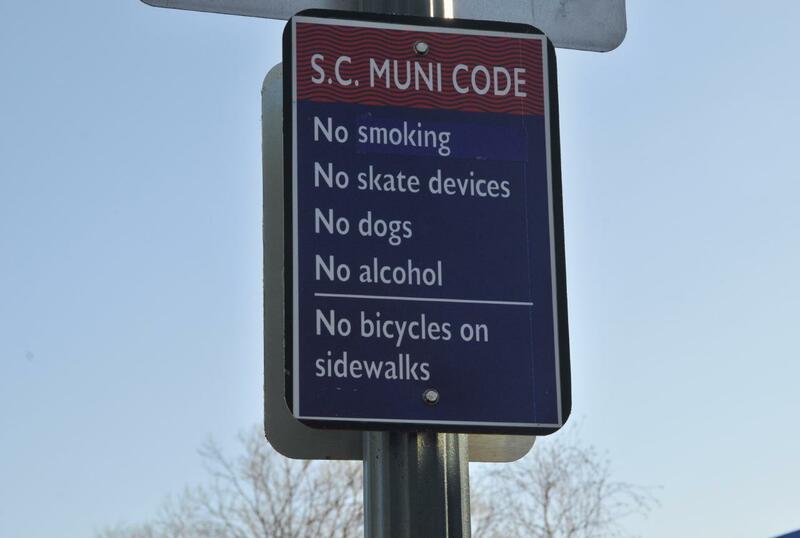 A sign indicated that the lot had, at one time, been the Pacific Garden Place. 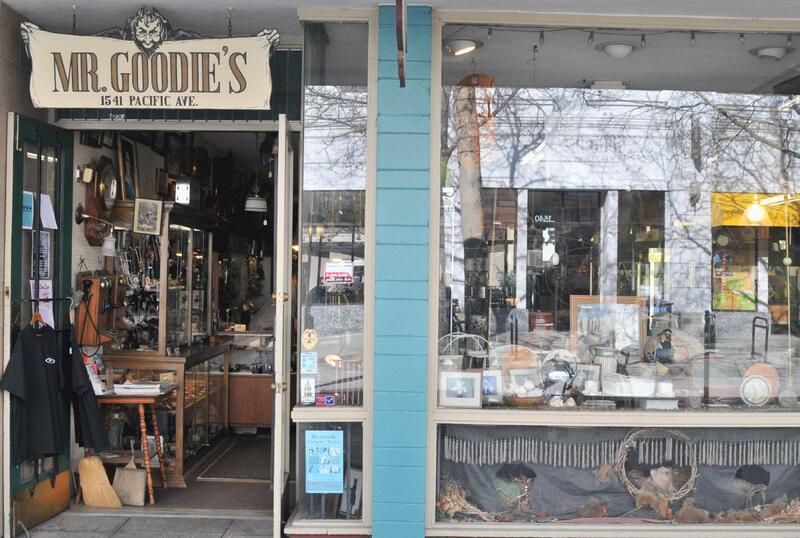 Mr. Goodie's was filled with antiques and interesting items of all sorts. 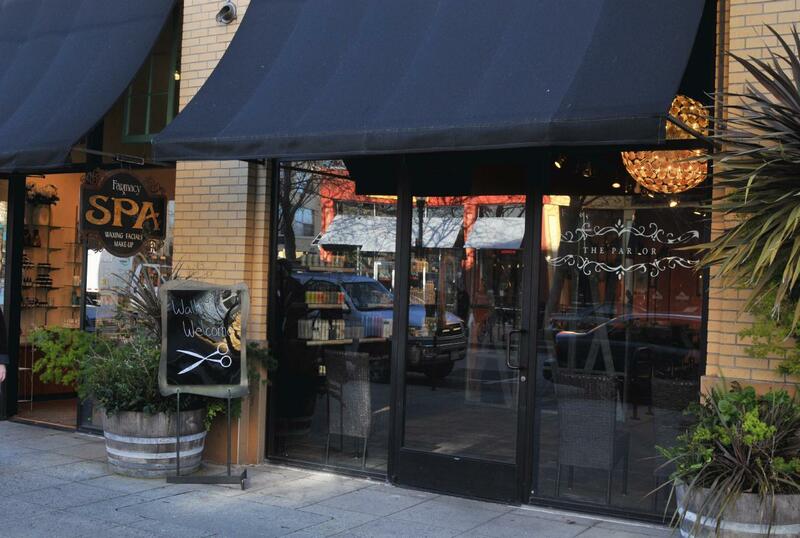 A restaurant and lounge called Chocolate was right there on that quiet sidewalk. The Pacific Wave surf and snow equipment store. 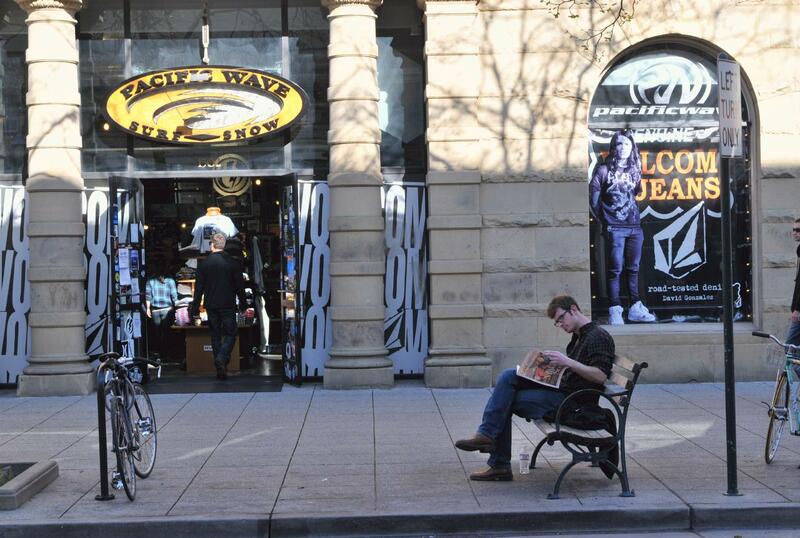 No shopping district would be complete without a Peet's Coffee shop. 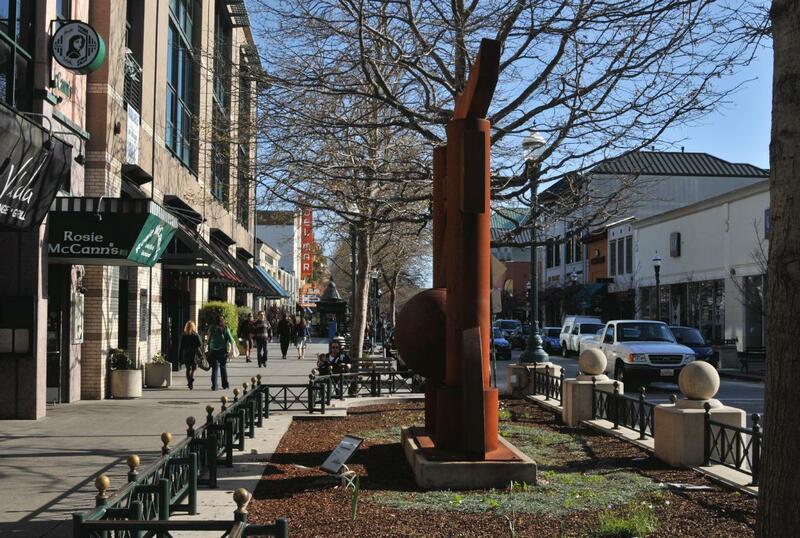 "After the devastating 1989 Loma Prieta Earthquake, sculptures by Santa Cruz County artists were selected by a community vote to be sited along Pacific Avenue. 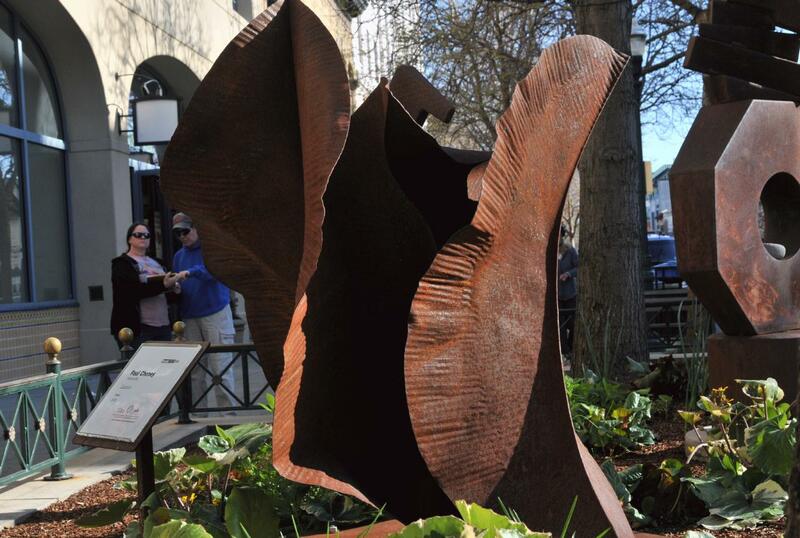 These sculptures were part of the redesign efforts undertaken to rebuild downtown Santa Cruz and memorialize the City's recovery." 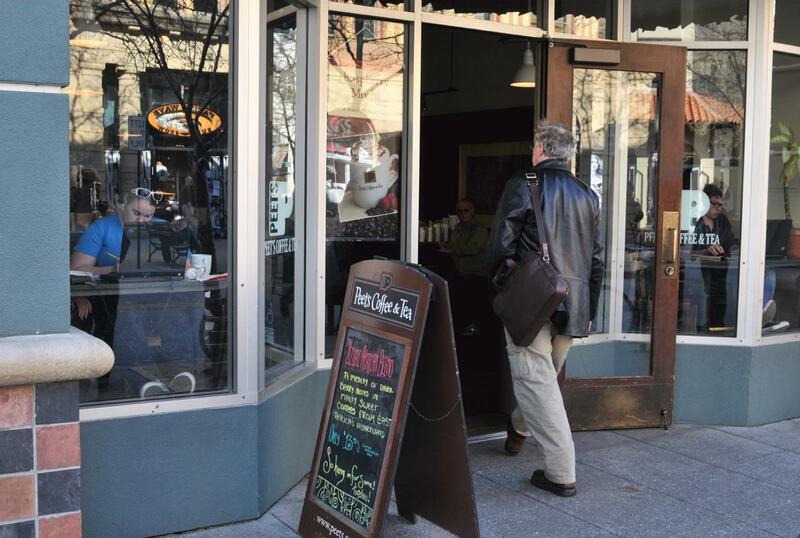 Church Street hit Pacific Avenue at an art garden. 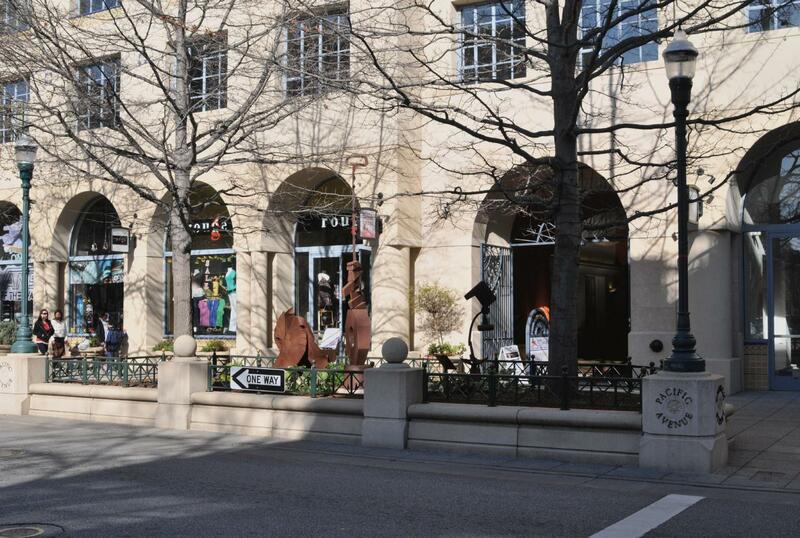 Notice that Pacific Avenue is a one-way street which results in higher traffic speeds and a less pedestrian friendly shopping area. 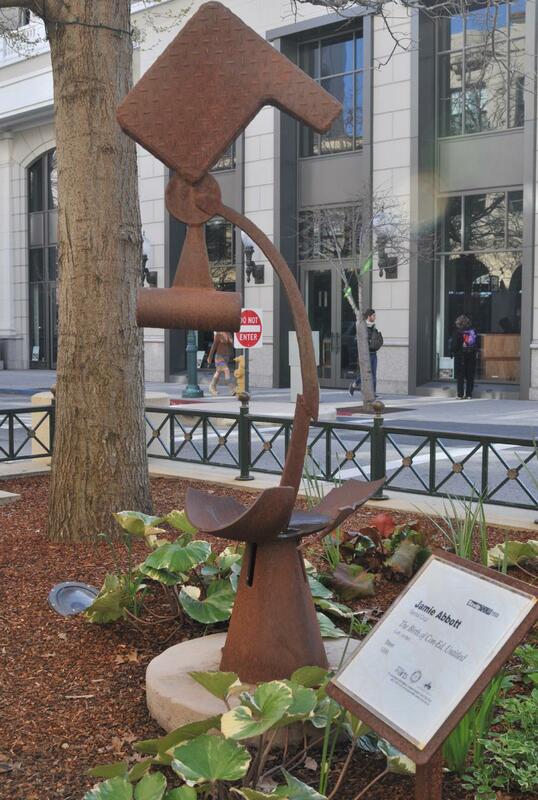 In the sculpture garden where Church Street hit Pacific Avenue. 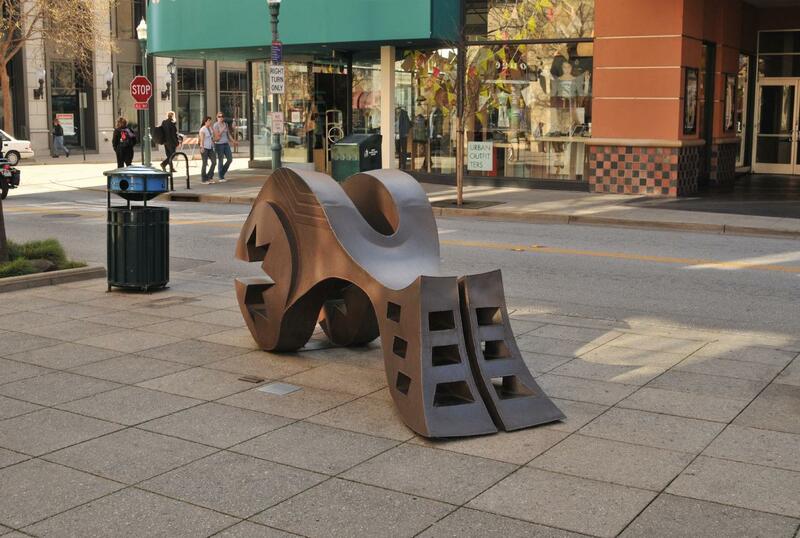 A metal sculpture greeted folks walking down Pacific Avenue. The clock on the Rittenhouse Building . 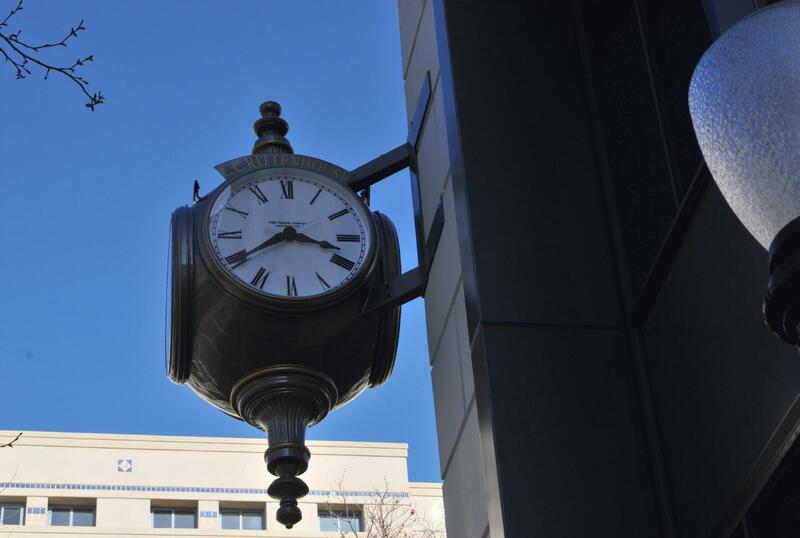 One resident complained that the "clock was obscenely expensive." 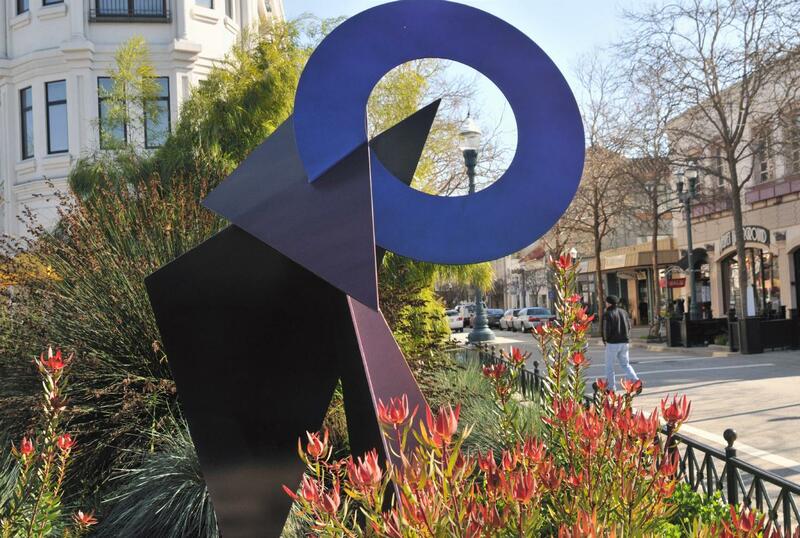 Another sculpture garden where Walnut Ave met Pacific Avenue . The view looking south down the sidewalk alongside Pacific Avenue. 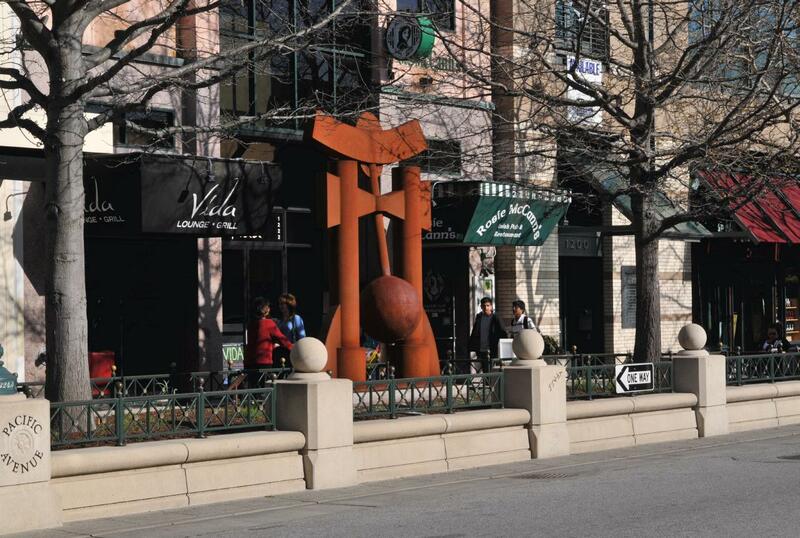 Notice that the street merely lost parking spaces to create this sculpture garden, but that the sidewalk lost significant width that was not necessary to lose. 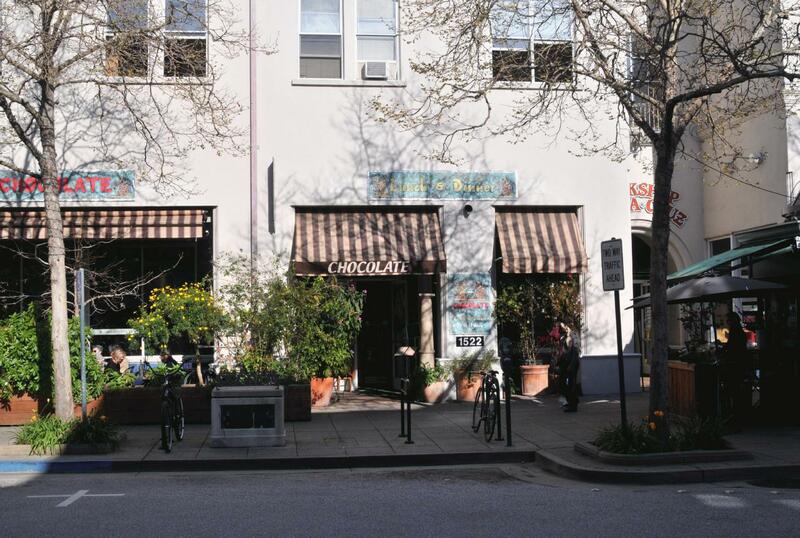 The Farmacy Spa/Apothecary and the Parlor hair salon were next to each other on Pacific Avenue. 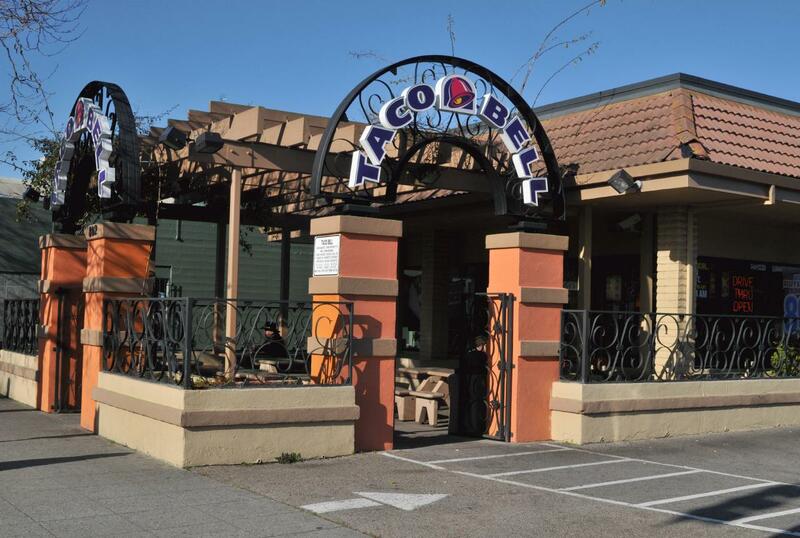 A Taco Bell was near the foot of Pacific Avenue. 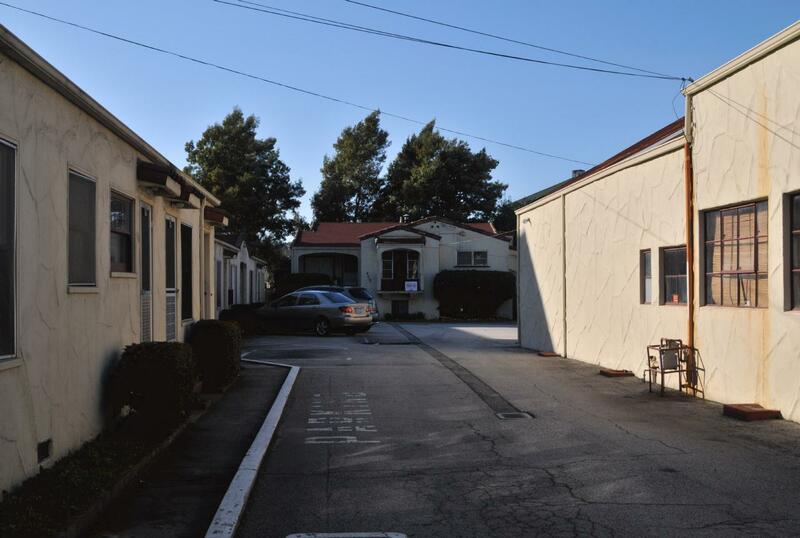 A low, somewhat rundown apartment complex at the foot of Pacific Avenue near Laurel Street . 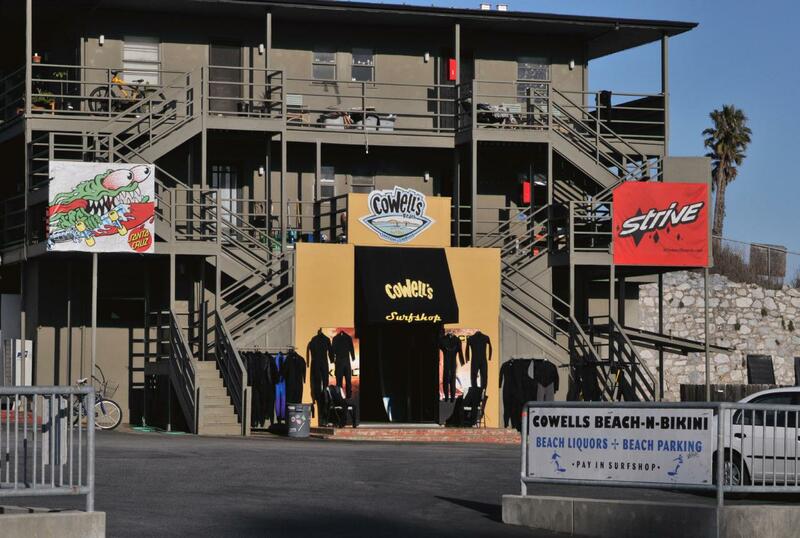 Cowell's Beach Surf Shop was the last store on the walk down Pacific Avenue.